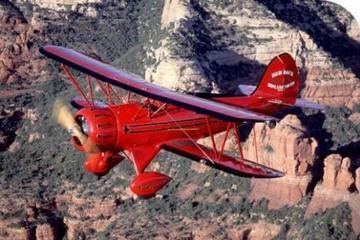 Capture these one of a kind scenic Sedona airplane tours in an area second to none! Climb in and enjoy the amazing red rocks of Sedona as they melt and steal your heart. Just one experience on one of these tours and you will be sold! These family friendly air excursions in the Coconino National forest come in a variety of packages which include both short and long day trips. What could be better than seeing the glorious red rock formations up close in an airplane? Simply put… nothing! Explore some of the most precious areas that can only be seen on one of these Sedona air tours. You and your party will feel like you are flying first class as your body is flooded with excitement as you experience nothing short of the ultimate bird’s eye view of this famous and very popular area. 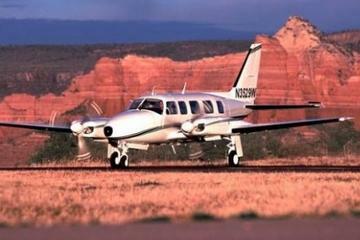 It’s no wonder these tours rank as some of the most popular air tours in Sedona. Explore the memorable treasures of Sedona as you hover over Bell Rock, Chapel of the Holy Cross, Mt. Wilson and Lee Mountain on this 20-minute biplane ride that will equal memories of a lifetime. Fly across the Munds Canyon area and take a peek at what's on the menu at Devil's Kitchen. Other areas of attraction on this exciting tour are Thunder Mountain and the Red Canyon. Sedona is popular all year-round because of the mild temperatures. In our summer months of June through August, you can expect temperatures to range between the 90’s and 100’s Fahrenheit, but keep in mind that since our humidity is quite low, the temperatures are actually very comfortable for most during the warmer months. Even during our winter months, the temperatures are quite mild, which range typically in the 50’s and 60’s Fahrenheit. I would, however, suggest that you bring a warm jacket for some of the cooler temperatures that the area experiences in the winter months. Just sit back and enjoy the relaxing yet breathtaking ride and let the experienced and knowledgeable tour guide provide you with perhaps THE most memorable air ride of your life! These tours will take you high up into the pristine canyon areas that remain untouched by man. Hover high and low as your tour guide explains some of the most detailed and interesting artifacts that will leave you with a most memorable travel experience and for a very reasonable price. To be able to truly appreciate Sedona at its best, take advantage of these Sedona airplane tours anytime throughout the year. If you are looking for popular and recommended air tours in this area, you just found one of them! People from around the world frequently make Sedona and the Grand Canyon their two main destinations. You can also take one of these air tours from Sedona to the Grand Canyon if you would like. If you’ve heard of Sedona but are not familiar with the area, here are some very attractive and inviting facts that will sweeten your trip. The area is known as one of the most captive travel destinations in the world. Just a 45-minute drive from the Phoenix Sky Harbor International Airport, Sedona is tucked away in some of the most beautiful red rock formations found anywhere. Here you will find plenty of Native American art, psychics and healers, art galleries, shops, trading posts, spas, in addition to plenty of outdoor activities for people of all ages and physical abilities. If you want to make your trip even more special, by car, the Grand Canyon is about a 2.5 hour drive from the Sedona area and even closer if you take one of the Sedona Airplane tours that take you directly to the almighty Canyon. From Sedona, relax in your seat as you venture on a 1.5-hour aerial tour to the Grand Canyon National Park. You and your other guests will make your way along the South Rim to Oak Creek and past the San Francisco Peaks until you reach the famous Little Colorado River. Enjoy some of the most admirable colors of the Painted Desert while you soak in these indescribable and without a doubt, unbeatable panoramic views of the Grand Canyon. 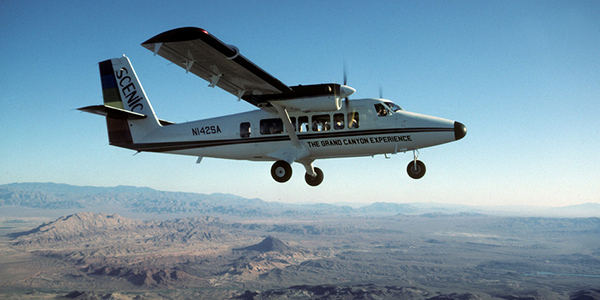 Experience an aerial flight tour from the Grand Canyon National Park South Terminal. Enjoy breathtaking scenic views of the Zuni Corridor, Imperial Point, Confluence of the Colorado and Little Colorado River, Kaibab National Forest and Kaibab Plateau. You can make your trip as laid back or as rugged as you see fit. There are plenty of areas for simple walking, mountain biking, both easy and challenging hiking trails, horseback riding, Jeep tours and off-road expeditions for you to explore in addition to Sedona airplane tours. If you enjoy golf, you will find that as well as camp grounds and RV parks too. Not sure where to stay during your trip? We’ve got you covered there too! Here you will find some of the finest five-star resorts, moderately priced bed and breakfasts as well as some decent hotels and motels. There are plenty of moderately priced restaurants as well as some very popular fine dining attractions.